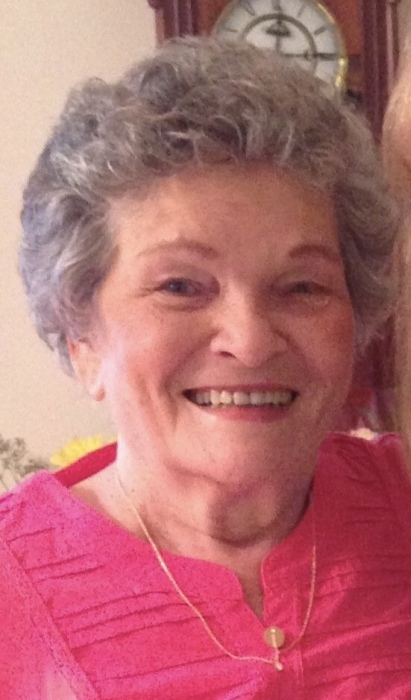 On September 2, 2018 Stella Jeanette Stumpf peacefully passed away at age 87, and joined her husband of over 50 years Norman Stumpf Jr. in their new heavenly home. A devout catholic, Mrs. Stumpf was the daughter of Polish Immigrants Jacob and Mary Znaniec, and was very proud of her polish heritage and her hometown community of Locust Point where she was raised. Mrs. Stumpf was a 30 year employee of Procter & Gamble Co., and enjoyed family vacations in Ocean City, and Deep Creek Lake. All her family looked forward to celebrating Thanksgiving and Christmas Holidays at her home! Mrs. Stumpf was the beloved wife of the late Norman Stumpf Jr.; devoted mother of Norman Stumpf III and wife Bonnie, Mark Stumpf and wife Terri, Kathleen Brager and husband Paul; loving grandmother of Norman IV, Katie, Rachel, Paul III, Kristin, and Ellen. She was also blessed with great grandchildren Nora, Brianna, and Charlotte and was loved by other family members, and dear friends. The family requests relatives and friends to visit the family owned Gonce Funeral Service P.A. 4001 Ritchie Highway on Wednesday and Thursday from 3 to 5 and 7 to 9 PM. A Mass of Christian burial will be held in St. Rose of Lima Church on Friday at 9:45 AM, followed by interment in Holy Cross Cemetery. In lieu of flowers those who wish can make donations to the St. Rose of Lima Church. Please feel free to share stories and leave condolences here for the family.